If Anime is Your Thang..
Then you would’ve probably heard of HobbyLink Japan, as they’re one of the few “Man Toy” shops that ships direct from Japan and operates in English for easy transaction, especially if we are not Japanese Kanji readers. They stock up a wide variety of Japanese and Western characters models, kits, and even merchandise. What we like most is their bargain crate that offers up to 65% off AND they’re also holding their Summer Festival Sale until the 6th of July with daily specials so don’t miss out on great deals! 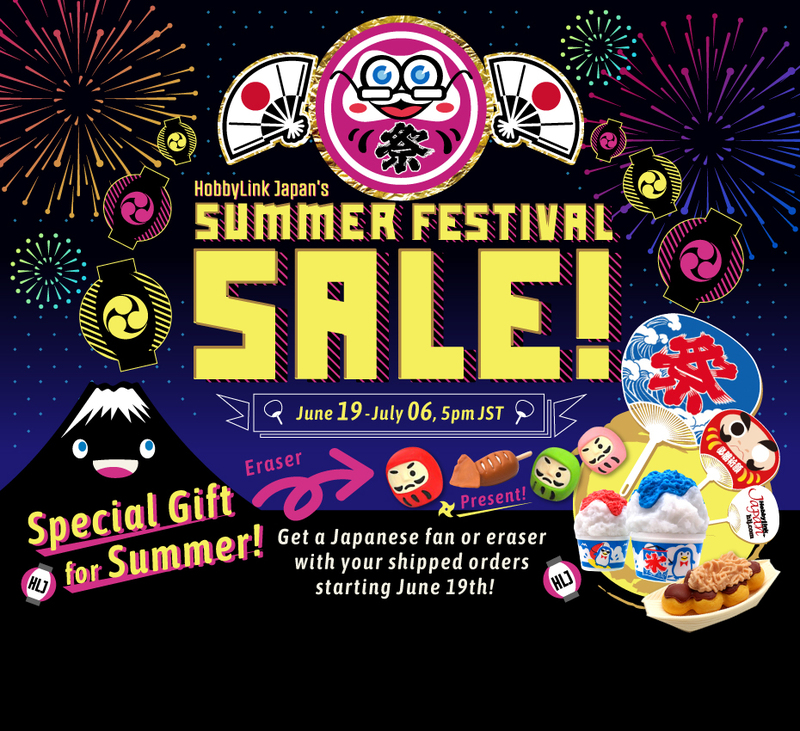 They even include some free gifts with every summer sale purchase – just like if you go to any matsuri in Japan! For shipping within Japan they charge a minimal ¥600 so save from ¥2500 on shipping by sending it to our Japan warehouse! Sign up now!